There is quite a list of potential root causes to headaches and migraines. But 85% of all headaches are a result of dehydration. So the first thing you want to do is rule out dehydration as the cause. In 2008 I had a headache that lasted for 6 months. I was drinking plenty of water! But drinking water alone is not enough to hydrate the body. Water without essential sodium and minerals will NOT ABSORB into the cells. Your body MUST HAVE unrefined sea salt to absorb water and other synergistic nutrients. Now whenever I get one of those headaches (usually dehydration is a forehead or over the eyes headache), I drink my water with unrefined sea salt several times a day and it goes away. Detoxing your diet will address over half of the common causes of headaches and migraines. Toxins and toxic overload increases inflammation, dehydrates the body, and can trigger headaches and migraines. Get Started Today! 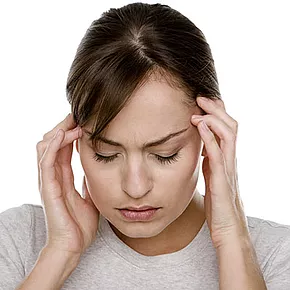 CBD oil reduces inflammation and may prevent and mitigate headaches and migraines. Click Here to learn more!